Is beard health important to someone you know? 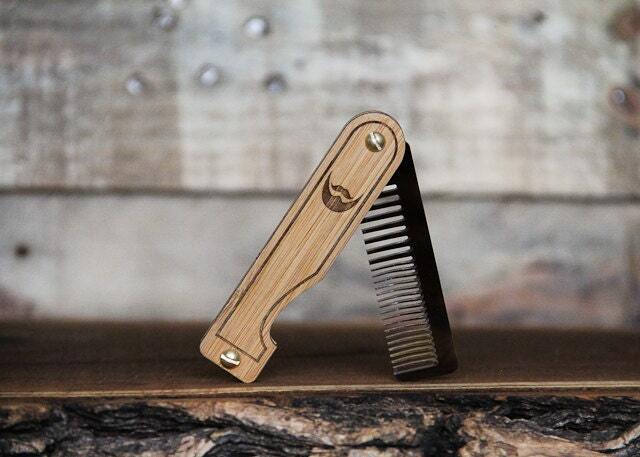 This cute little comb will help him ensure a handsome and healthy beard. Unlike some other combs that are mostly just for looks, this compact comb is actually designed for everyday carry. The comb can be personalized (for free) with an engraved name, initials, or a monogram. mini-Fab built this comb for real men. Not only is this a sturdy little comb, the handle swivels a full 360 degrees so that he can reach every area of his beard with either hand. If you like the beard comb, you must check out the mustache comb, also by mini-Fab. This comb was featured in Real Simple Magazine. If you like either product, you should check out mini-Fab's website.